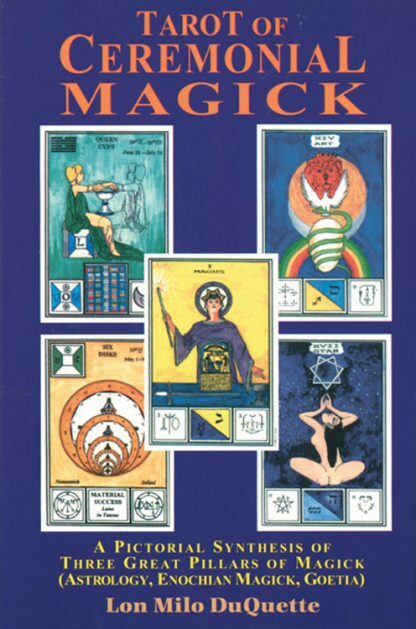 In this ground-breaking book, Lon Milo DuQuette explains the symbology of the cards in his Tarot of Ceremonial Magick, a new deck published by Thelesis Aura. The concept is a breakthrough for occultists of all paths. Each card is illustrated with a list of the Zodiacal, Enochian, Ceremonial, Goetic, Tattvic, and Elemental components. DuQuette explains how the cards relate to each other and makes immediately accessible the more difficult conceptual connections that Crowley made so easily. Through DuQuette's wit and decades of practical knowledge of magical practice, students of the arcane arts can gain a whole new level of understanding of how and why magic works. Illustrated. Bibliography.